Austal has successfully delivered another Independence-variant Littoral Combat Ship (LCS) to the US Navy last week. The future USS Charleston (LCS 18) is the third Austal designed and built LCS delivered to the Navy this year. The company, which has delivered nine LCS to date, is constructing a further five vessels for the US Navy at its Alabama shipyard. 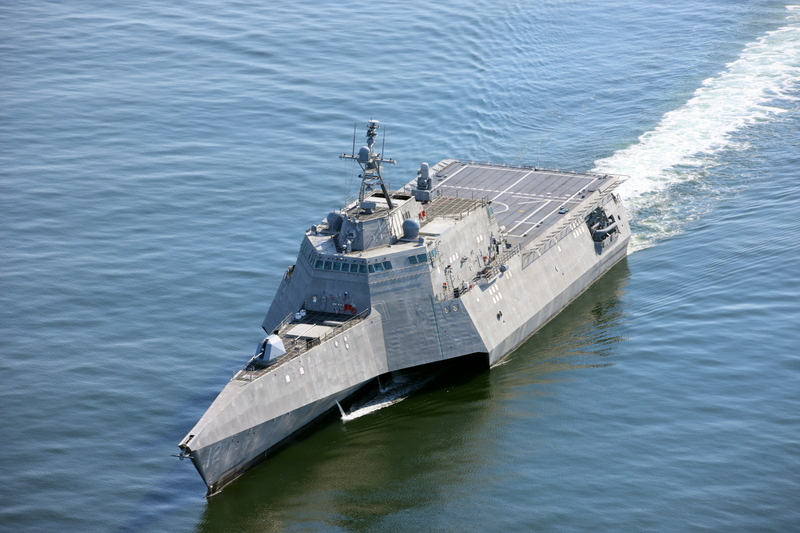 Cincinnati (LCS 20) is preparing for sea trials, with assembly underway on Kansas City (LCS 22) and Oakland (LCS 24). According to the company, modules are currently under construction for Mobile (LCS 26) and Savannah (LCS 28), with the future USS Canberra(LCS 30) to enter construction phase in early 2019. “The advanced production process developed at Mobile, is allowing us to roll out ships from the assembly bays one after the other in such quick succession, offering a huge competitive advantage for Austal to be able to support the US Navy’s fleet expansion to 355 ships,” he concluded. Austal is also under contract to build 12 Expeditionary Fast Transport vessels (EPF) for the US Navy. To date, the company has delivered nine EPFs, with the remaining three vessels in various stages of construction.